In the current economy, gas mileage ratings not only help to sell automobiles but also play a key role in environmental issues and consumer responsibility. Considering the Ford Mustang in particular, regulations may force automakers to resolve gas mileage issues for some of their most popular vehicles. The Energy Independence and Security Act, signed by President Bush in 2007, calls for a gas mileage standard for all vehicles of 35 miles per gallon by the year 2020. The Ford Mustang GT averages 15 to 23 miles per gallon, which may be largely responsible for the 19.2% decline in sales of all Mustangs during the year 2007. At the same time, the Ford Focus increased in sales consistently throughout the year. This may due to its gas mileage of 23mpg in the city and 33mpg on the highway. This still does not meet the standard set by the Energy Independence and Security Act, but is much closer than the Ford Mustang to achieving fuel conservation goals. What does this mean for the Mustang and other less fuel-efficient vehicles? Will we see a rash of used auto sales as consumers ditch their gas-guzzlers for more efficient vehicles? What about those vehicles still on the road when 2002 arrives…will those vehicle owners be sanctioned in some way for non-compliance with the new fuel mileage standards? Only time will tell what the fallout will be and whether these regulations will actually be beneficial to consumers or just one more annoying rule to follow. 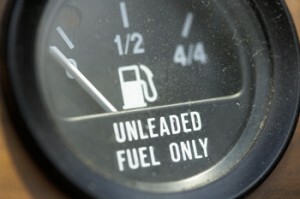 Another way to improve your fuel economy is by using some of the new models of GPS units. The Garmin 1350LMT offers a new feature called ecoRoute that will automatically adjust your route to give you the best fuel economy possible.